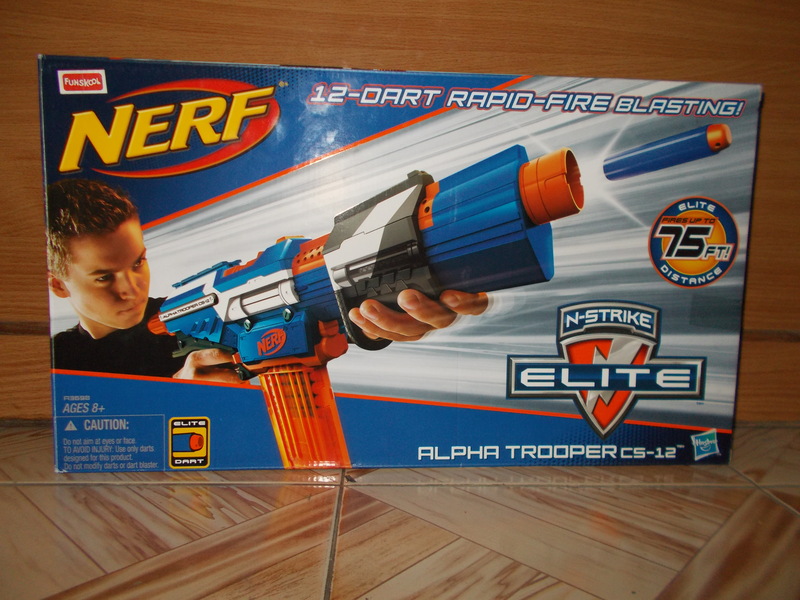 The Elite Alpha Trooper CS-12 (aka EAT), is one of the most sought after blasters today.The original alpha trooper was quite a success,and it was quite a surprise when its elite counterpart popped up at the Powerplay Tournament at Singapore. 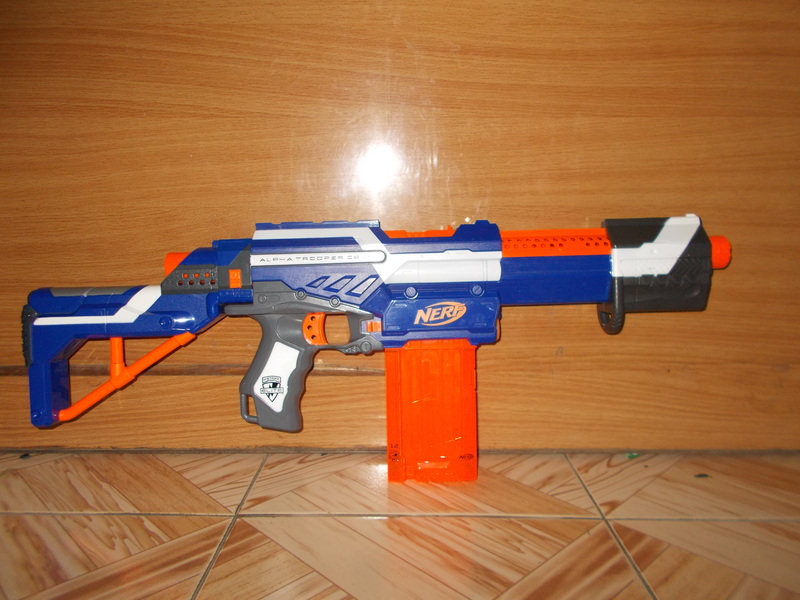 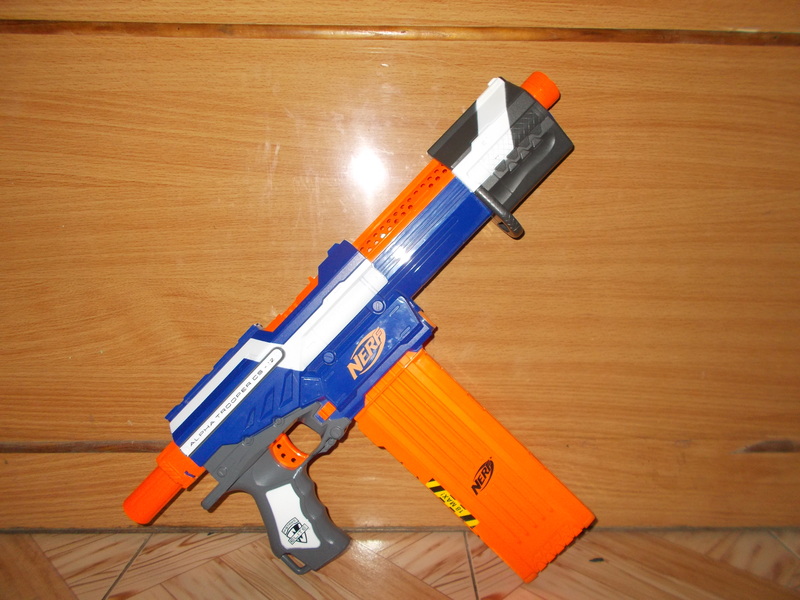 The EAT is the successor of the 2010 N-Strike Alpha Trooper CS-18.It features a repainted exterior,and a highly tuned up internal,featuring a more powerful direct plunger than the earlier reverse plunger used in the original AT.It now comes with a 12-dart clip,as opposed to the 18-dart drum that came with the AT.It features a stock attachment point,a small tactical rail behind the jam door, and a small iron sight on the top of the priming handle.The clip release button is present on both the sides of the blaster. 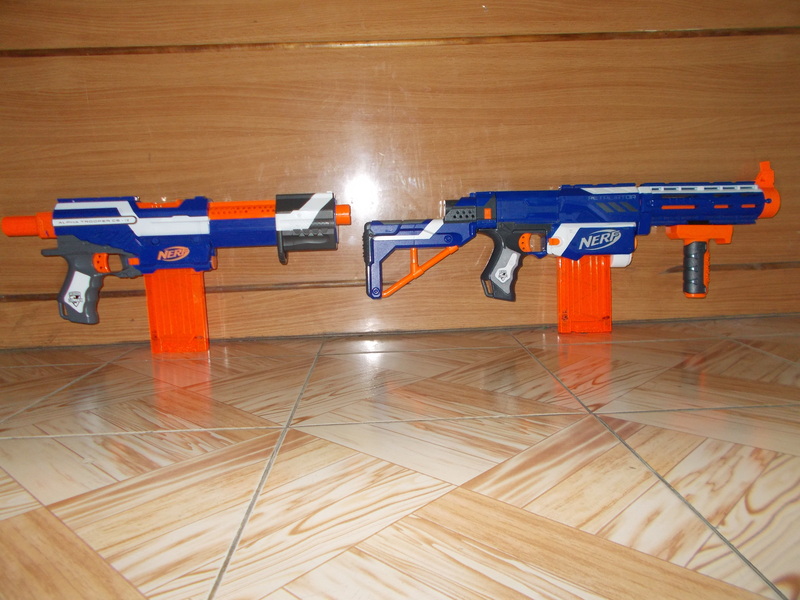 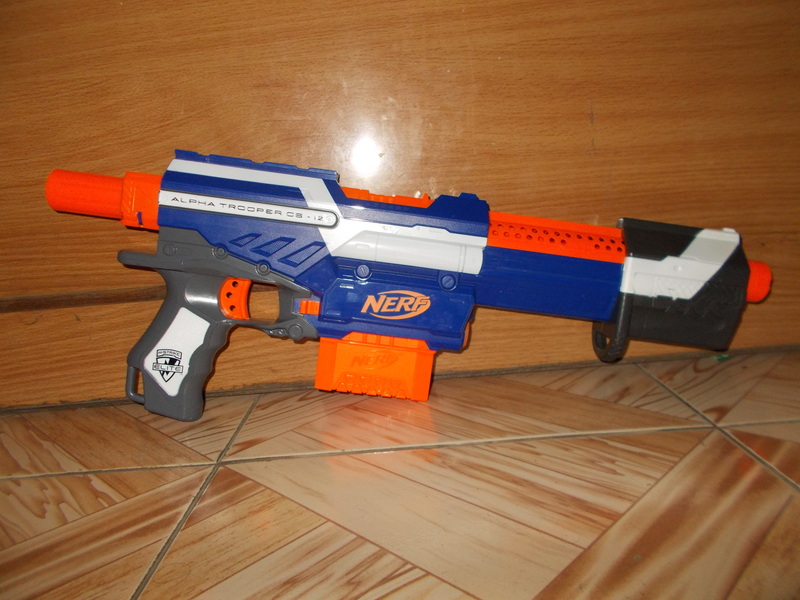 It looks really good with the Elite paintjob,and even though it looks heavy,it is quite lightweight and easy to use.The slide is easy to use,and i felt no need for the jam door,as the blaster rarely jams. 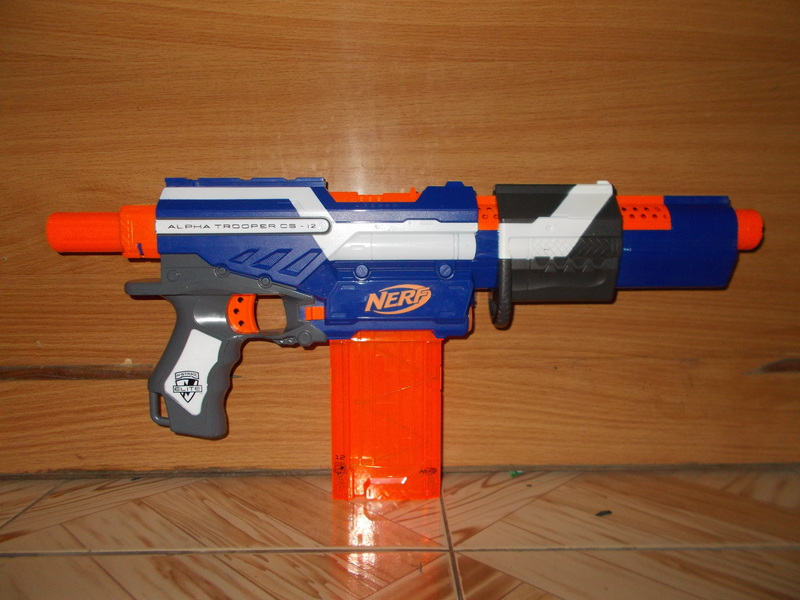 Performance wise,it is one of the best blasters out there.The range of 75 ft is achieved when the blaster is angled,but it constantly reaches ranges of 60-65 ft.The slam fire mode provides a massive rate of fire(RoF) of more than 4 darts/sec.The trigger is very sensitive,and darts fly out at almost 60-70 feet/sec. 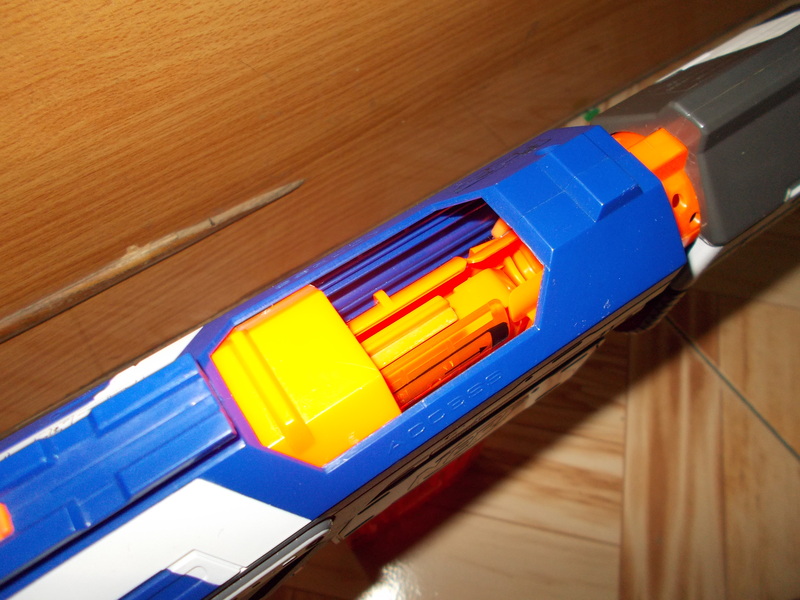 Using the EAT is quite simple.Push the handle back,load a clip,push the handle forward,and fire. 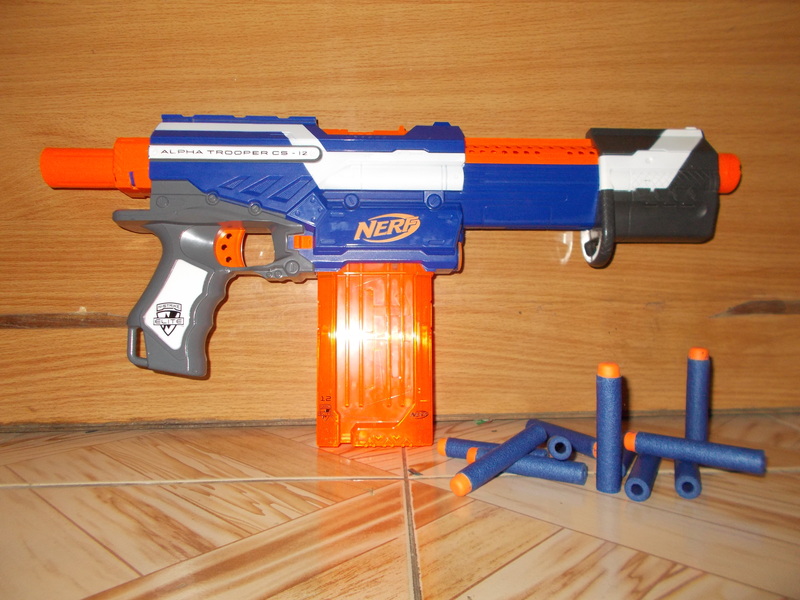 For slam firing,hold down the trigger,and repeatedly pump the trigger to let out a barrage of darts. 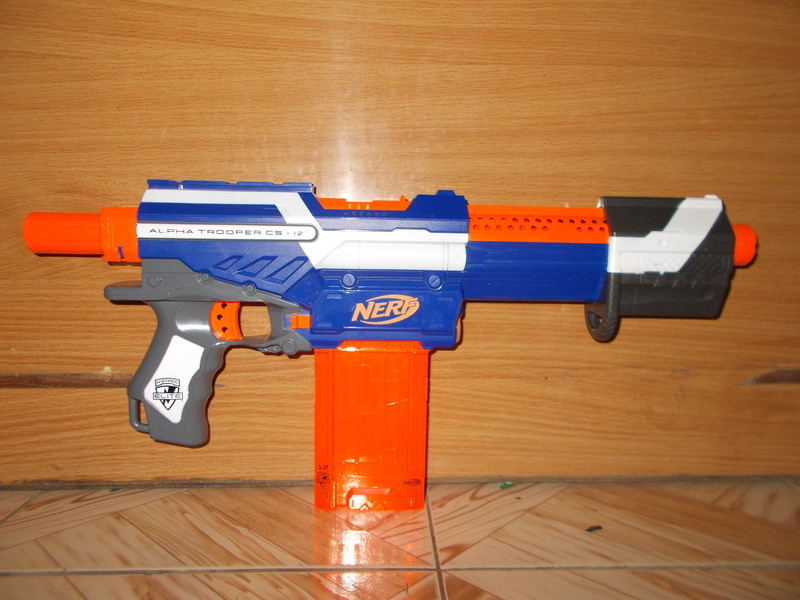 Overall,this is one of the best blasters you can buy. 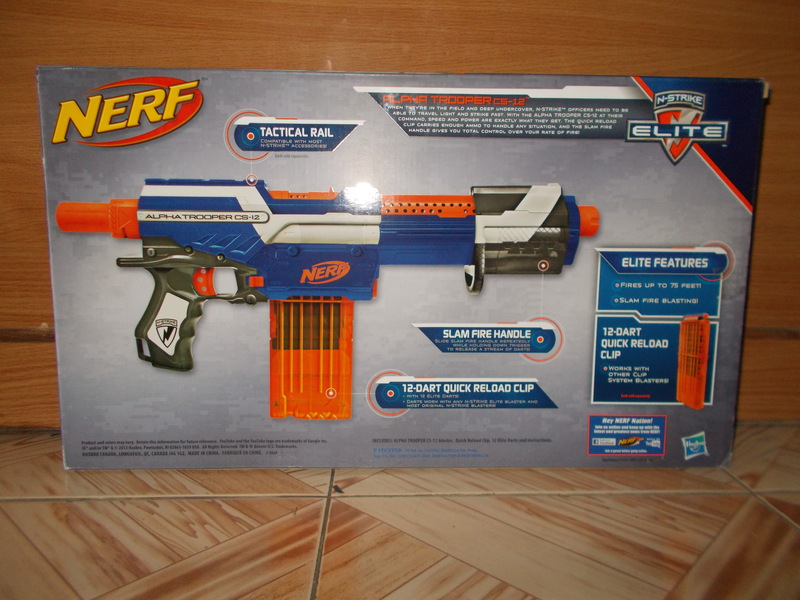 At Rs.1499,it offers a bang for the buck.